Ever wondered why India remains poor, with the top 1% bagging more than 70% of the country's wealth? Why our political system not only falls short of the textbook ideal, but prioritizes communal politics, corruption, and cronyism? The "Politics of Development" is a two-day immersive certificate course curated for a batch of 120 Policy Enthusiasts looking for the answers to these and many other grueling questions and striving to find solutions for the same. Our esteemed keynote speaker will take up discussions on Post-Reform Realities. Further discussions about the nuances of good governance and a deeper look into the crux of political corruption in India that are part of the program will be brought up as well. PoD follows our philosophy for integrated learning and interactive discussions by including lectures by domain specialists, policymakers and policy enthusiasts, and supplementing them with games, movies and presentations to promote healthy group discussions. Selection Process: Since the seats are limited and the candidates will be selected on a rolling basis, those who apply earlier will have a higher chance of selection. 11:30 - 13:00 | Is there Really a Culture of Poverty in India? This session explores how poverty is not a result of people being tardy or unambitious but rather the result of bad policies which attack their economic freedom and property rights. This session discusses how liberalisation opened the economy and lifted millions out of poverty but did not go far enough. Many quarters were left untouched and continue to suffer under the old system of state permits. At the same time, cronyism thrives in the state-controlled sectors of the economy and bad regulations continue to thwart our development. 10:00 - 12:00 | How Can We Disrupt the Political Marketplace? This sessions advances increasing political competition through federalism and bringing in campaign finance reform as two possible solutions to increase governmental accountability. 12:30 - 13:45 | How good a solution is Welfare? This session argues that given the widespread poverty and rising inequality, redistribution of wealth and government welfare schemes may seem to be the obvious short-term solutions. But limiting attention only to these policies is likely to undermine the very process that has lifted millions out of poverty. This session debunks how India's big government is hardly a check on big business. Instead, rampant state regulation reduces competition and increases costs of compliance for entrepreneurs making it harder for them to earn a living. Barun is the founder and director of the Liberty Institute, www.InDefenceofLiberty.org, a nonprofit, independent public policy research and advocacy organization, based in New Delhi, India. Liberty Institute is dedicated to enhancing individual freedom in economic and political domains. Among the recognition the Institute has received was the Templeton Award for social entrepreneurship in 2003. 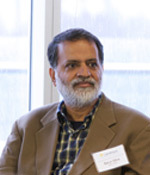 Barun Mitra also received the 2005 Julian L. Simon Award for his contribution in environmental policy debates from the Competitive Enterprise Institute. 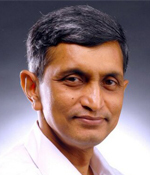 Dr. Jayaprakash Narayan is a physician by training who went into the Indian Administrative Service in the aftermath of the Emergency and failure of the Janata Experiment. He was a topper in the IAS exam. During the 16 years of distinguished public service in various capacities, he acquired a formidable reputation in the erstwhile State of Andhra Pradesh. His experience in government convinced him that faulty governance process was the biggest hurdle to India and Indians achieving greater success. And what India needs today is a fundamental change in the rules of the game and not a periodic change of players. In order to translate his vision into practical reality, he resigned from Service (IAS) in 1996 and worked with like-minded colleagues for the formation of Lok Satta. Lok Satta has now emerged as India's leading civil society initiative for governance reforms.